With a description like 'Melts makeup, dirt and debris to banish bleakness for all skin types,' Origins Never A Dull Moment was a must on my shopping list. As I'm sure we all do, I have a thing for wanting my skin to look radiant, with or without make up. My thoughts with skincare now is that it's important to have the foundations right and to then apply you make up on top, equally it's just as important to remove it correctly. 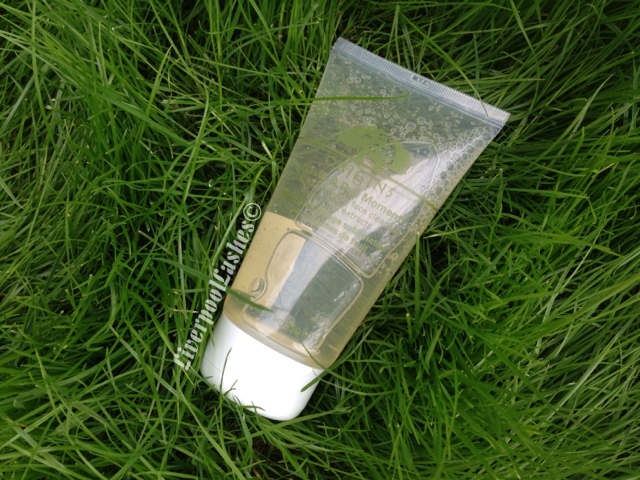 This cleanser smells gorgeous and fruity, just as you'd imagine it to with it containing extracts of crushed papaya. It's a gel like consistency that lathers up and rinses away easily to leave brightened, clean, soft skin. I confirm however that unfortunately it doesn't taste as nice as it smells. I learnt this the hard way when I opened my mouth for no apparent reason whilst splashing my face, just putting that out there. It makes a wonderful combination with my Origins Ginzing Energy Boosting Moisturiser in the mornings too which I adore and reviewed last month (July 2013.) So to the final thought is... I would definitely buy this cleanser again!